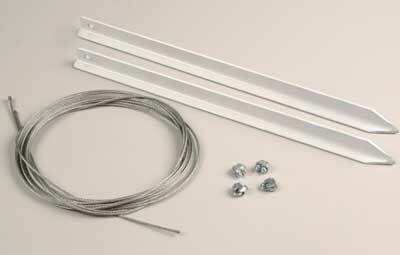 Commercial quality guy wire kit for holding ornaments to roofs and ground. Telescoping Push Pole for use with Waving Santa (item no. 1505 & 1506) and Toy Soldier (item no. 1507 & 1508) displays.